Hi! Yes I'm still here. I'm just a tad busy with my clinical placement.. and the freaking pimple which grew on the top inner portion of my right eyelid. It is where you would tightline your eyes. Yes I know it is a weird place for a pimple to grow, and the even weirder thing is.. I DON'T EVEN TIGHTLINE MY EYES!!! So I have no freaking idea why or even how a pimple could grow there. Initially I thought I had an eye infection or something? But I went to the doctor's this afternoon because my right eye became too disturbing and uncomfortable, and the doctor gave me a diagnosis of PIMPLE. I've got pimples on my cheeks, on my forehead, on my eyebrows, on my nose and on my back.. but on my eyelids?? This is a first!!! See that little pus near my eye? That's my weirdass pimple! It is painful and also annoying because my eyes are now swollen. It all started yesterday and it got worst this morning when I woke up. 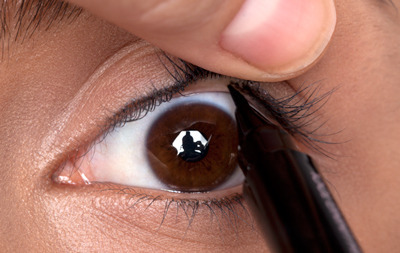 What started out to be a dull aching pain which would only be obvious when I touch my eye, has become an aching pain which acts up every time that I blink my eye. Who you talking about? Me?? Am I the only one in the world who has pimples growing in weird areas???? I'm still trying to get over this stupid pimple. And the cost to see a doctor on a Sunday. Luckily I went next door to check out the other clinic, or I would have burned a hole in my wallet just for a freaking stupid pimple. Well actually I did burn a tiny hole in my wallet, not for my right eye (thankfully not!) but for something which was a lot more worthy!!!!!! 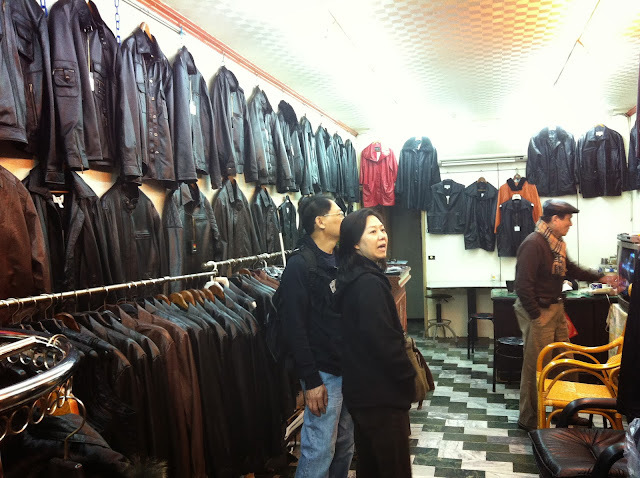 I discovered a flea market when I was walking towards the clinic. The flea market was held at the void deck, under some block of flats, and it was mainly for residents who stayed in the vicinity. The items sold there were mostly secondhand goods that ranged from old photo frames to accessories, clothes and shoes. Some of the items sold there were brand new too, still in their packaging. Most of the new items were accessories or squishies. For the purpose of your understanding, these are "squishy". This is the RAGING HOT! thing amongst primary/(? )secondary school kids now. I don't understand what is so fab about these weird bread-like 'thingys' but okay.. I've been through that era where things don't make sense and they are popular JUST BECAUSE. And so, I rest my case. There were also handmade items for sale, just as flowers and bracelets. My eyes literally became the size of fishballs (yes even my weirdass pimple right eye) when I saw these, and I dashed towards them!!! From left to right, top to bottom: Tommy Hilfiger (male), Timbaland (male), Yves Saint Lauren (female), Polo Ralph Lauren (female), Abercrombie (female). All of the tees, except for the Polo Ralph Lauren one, costs $15 each! The lady stall owner sold the Polo Ralph Lauren to me for $10 because of a slight stain at the button area. Anyway this is what I have to share about this weekend of mine!! It's MY busy period of the year again. Having clinical attachment now. Unfortunately due to confidentiality issues, I am not allowed to disclose where I am currently having my clinical attachment... however there isn't a clause that says I am not allowed to say that I FINALLY GOT THE CLINICAL PLACEMENT OF MY DREAM!!!!!!!! Maybe I will disclose it one day.... Like a few years after I graduate or something. It's not like I have anything bad to say about it or what! If there is anything that I have to say, it would be how good it is to finally be serving my attachment at the placement of my dreams and how awesome it feels!!! Basically, Health Science students term their internship as "clinical attachment". It is actually the same thing. I don't know why Health Science students in Singapore need to be 'special'. I know that the Singapore medical students (ie. students studying to be doctors) term theirs as internship. Why are we the odd ones out??? Anyway, a really short and really quick update!! This is the first time that I have had dinner outside with Rod since I came back from Taiwan. I've pretty much been nua-ing (meaning: slacking) at home since my return because Taiwan drained more energy out of me than what I had initially presumed and planned. In early 2013, I went for a class lunch with my poly classmates at Yishun's Swensens. 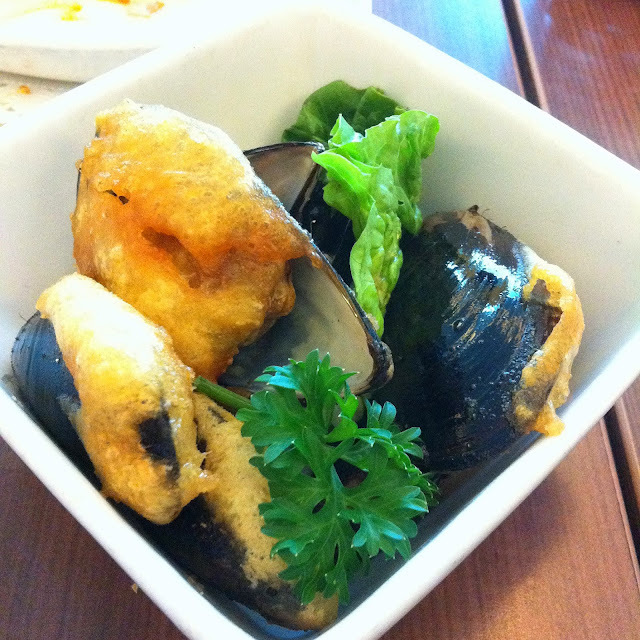 I love and missed their baked mussels, and so I have been wanting to go back to Swensen's since then to have their delectable baked mussels. Oh I can tell you a whole story about how yummy mussels are when they are baked with some herbs, garlic and cheese... My mouth is already watering just with me talking about it right now. Last night, I decided to attend to my craving and so I went for dinner at Tampines Mall's Swensens. It was an incredibly bad decision because the food was edible but terrible. If anything, at least the food looked presentable enough for photography purposes. 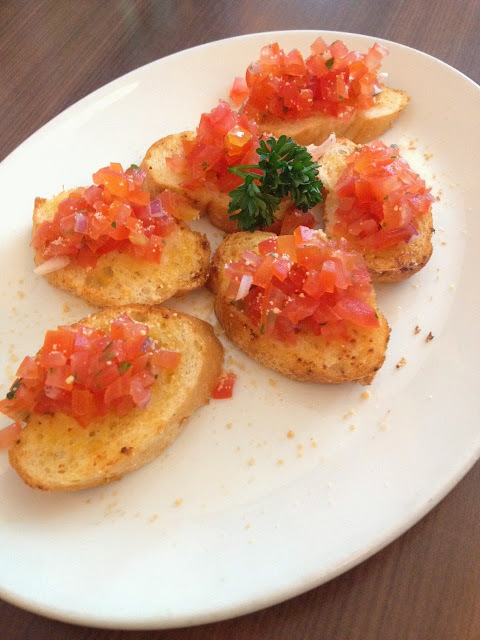 First up, Bruschetta (pronounched 'brusketta') . Which was incredulously soggy. The first bite wasn't too bad but after that.. it was bad. The tomato topping was tasteless and it definitely lacked of a certain seductive ability to make you wanna order another plate. I could not taste the balsamic vinegar. Ok wait, it wasn't tasteless at all. It tasted of ONIONS. Every single bite tasted of onions. I know, you can't see the onions right? Neither could I initially. But there are indeed little potent bits of onion which ruined the entire taste of the bruschetta. If it isn't obvious enough, I am disappointed. I never thought anyone could ever go THAT wrong with such a simple dish. Apparently a new dish on their menu? I couldn't find the good ol' baked mussels. I don't understand why they switched it to this horrible deep fried dish. No seriously, it is incredibly bad. To start it off, it is such a hassle to eat this dish. Because of the thick layer of flour coating on top, I could not simply pull the mussel meat off from its shell using my fork. I had to use MY HANDS to pull off the extremely thick layer of flour to get to the mussel meat. 3 words: WHAT A MESS! Also, I don't know what happened in the kitchen but the first mussel that I ate... I had a nasty surprise installed for me. There were lots of bits of shell in the mussel meat. I don't mean the gap between the layer of flour and the mussel meat. I seriously mean IN THE MUSSEL MEAT! I took my first bite of the mussel and.. I bit into my first bit of shell. I thought it was an accident so I simply pulled that bit out of my mouth and tried to continue chewing. Then I bit into my second bit of shell, and then I felt it with my tongue.. lots of bits of shell. I took out the mussel meat from my mouth to examine and it was so weird. There were almost 10 bits of tiny shell pieces in the mussel meat. It looked as if someone was fooling around in the kitchen and put all that bits into the mussel. I couldn't be bothered to complain because it was just that ONE mussel and I had had enough of the horrible food and wanted to get out of there ASAP. In case you're wondering what I did with the rest of the mussels, I packed it to-go. After I reached Rod's home and got hungry, I took the mussels out, pulled out the thick coat of flour from every mussel, chopped up some garlic, mixed it with butter, placed it atop the mussels and placed them neatly in a pot (a pot because Rod ran out of Aluminium foil at home and so I couldn't use the oven). It tasted better than the nasty deep fried version. Urrgh! This dish tasted the best amongst them all, but I feel conned by this dish. 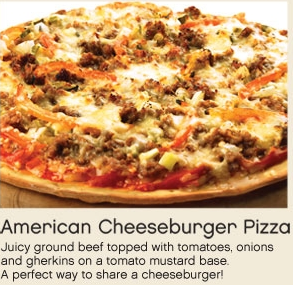 On the menu, it looked like there were so many toppings on the pizza!!! Just look at the one I had!!! It's measly!!!! This dish broke my heart too. 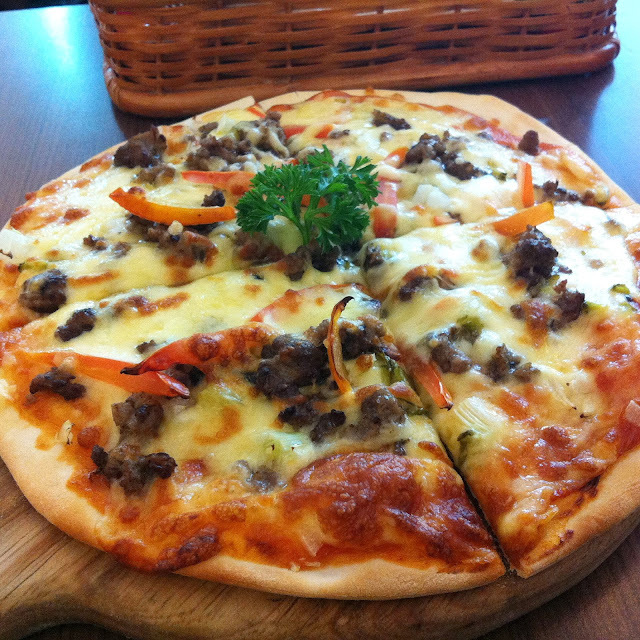 It looked so appetizing in the menu, but when it was served to me.. I felt so devastated and in shock. I'll let you compare it yourself. Which looks entirely different from what I was presented. Then again, okay.. I get that pictures in the menu are just pictures and they are merely for illustration purposes to give us a better understanding of what the dish is like. Fine then, what about the words? 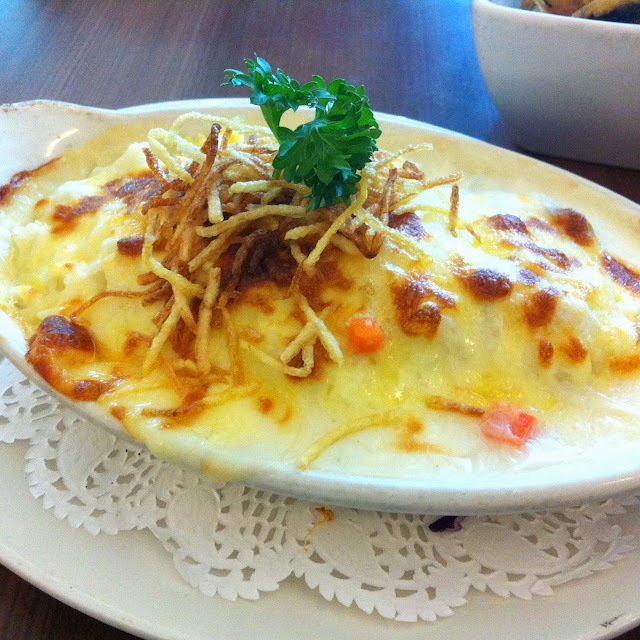 It wrote there "savory rice, smothered with lusciously creamy sauce". 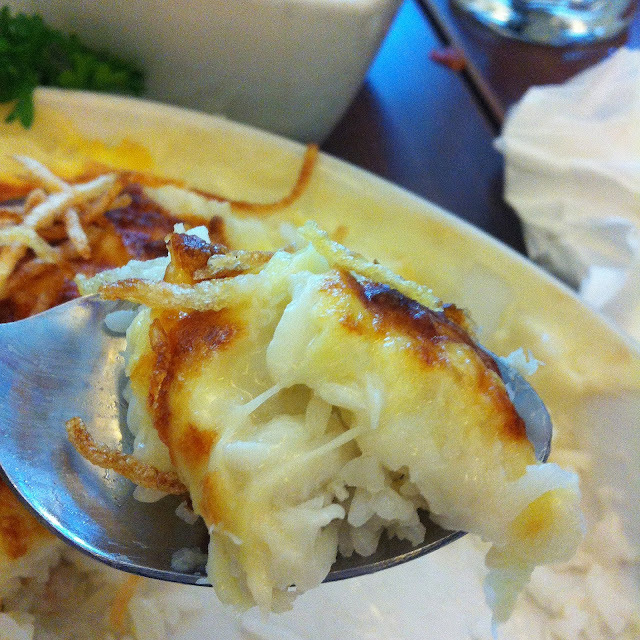 For every bite of the baked rice I had, I drank half a cup of water because it was just sooooooooooo DRY!!!! I had such a hard time eating it that I didn't even bother to attempt to finish it. I left the restaurant with 2/3 of the baked rice remaining. Yes I feel guilty for wasting food but I really really really couldn't take another bite. It was just so horribly dry and hard to eat and hard to swallow. I felt like I was tormenting myself for every bite I took. I swear upon that last sentence. It is honestly that bad. I actually ordered another appetiser... Cream of Mushroom. I didn't bothered to take any pictures of it though because it wasn't photogenic enough plus it was made out of button mushrooms that came from a can. The taste was mediocre. Oh well, I've been warned before. Swensens serve mediocre food. If you are ever looking for good food from Swensens, try their outlet at Yishun. I find it to be more promising! And that concludes my Saturday dinner. Back to Monday again tomorrow! 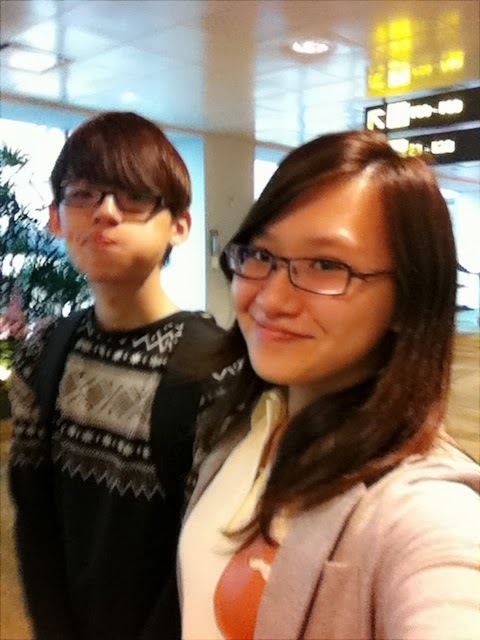 I touched down in Singapore on Wednesday at 1835hours. The trip was awesome! I bought quite an amount of items! 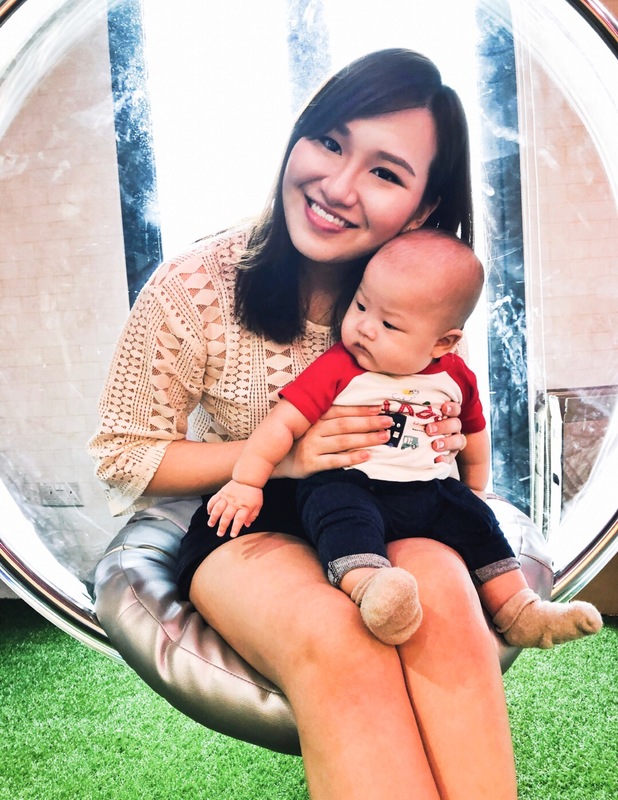 I didn't get to buy much clothes (suitable for our climate here in Singapore) because the clothes sold there are mostly for the cold season which the Taiwanese are currently experiencing.. I got a lot of shoes!!!! And the 5th which I wore back. Need to praise this 5th pair of shoes!! The lady who sold it to me wasn't kidding when she said that this pair of shoe is waterproof. 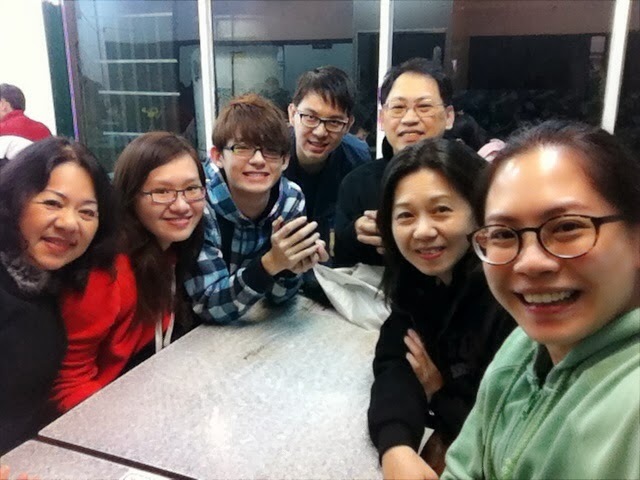 Everyone else in my family had utterly soaked-through shoes and socks when we went to JiuFen because it was pouring. All of their shoes and socks were so wet that they made squeaky sounds and ooze out water with every step that they took. My shoes made no noise and my socks were just damp because of the water that seeped in through the gaps. My socks dried within half an hour after I left them after the heater, whereas my lil brother who had soaked socks needed about 3-4 hours for his socks to be dry? I borrowed my sister's luggage space to bring it back and I know she has unpacked her luggage but I don't know where she placed my shoes and so for now.. my 6th pair of shoes is MIA! Lol! Anyway here are some of my other hauls from Taiwan! 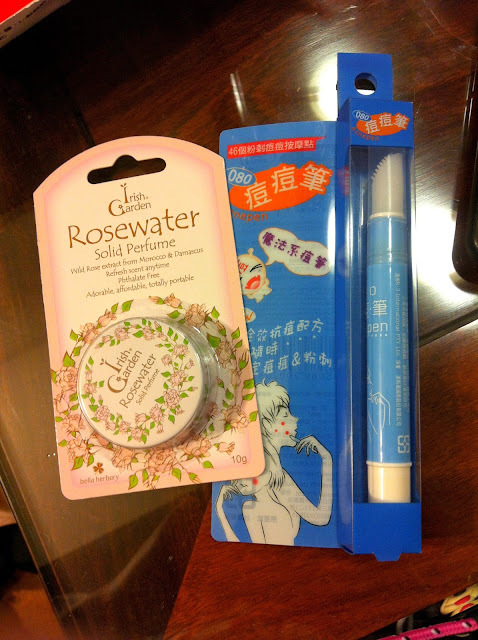 Bought a solid perfume and Acnepen from a 7-Eleven convenience store in Taipei! Foremostly, I regret buying the solid perfume. It stinks and its "fragrance" gives me a headache. I bought it only because I saw the word "rose" and then I caved. I love roses but this rose perfume... has seriously scarred me for life. I think I will stick to strawberry-scented perfumes from here on. As for the acnepen.. I love it!!! It has a really interesting top, where the acne liquid would ooze out! The liquid is tea tree oil which is great for dealing with acne! I was so excited when I saw a Tony Moly outlet in XiMenDing (the area where I stayed in Taipei)! I bought a concealer and a brown liquid eyeliner because everything else was a little beyond my current budget and a tad too heavy to lug back! Will do reviews on these 2 darlings really soon! Bought adorable face masks!!! Bought 4 packs of these masks for SGD 4.30! Damn suitable to use right now because of the haze. Speaking of the haze.. I need to give my piece of mind about it. I HATE THE FREAKING HAZE!!!!!!!!!! 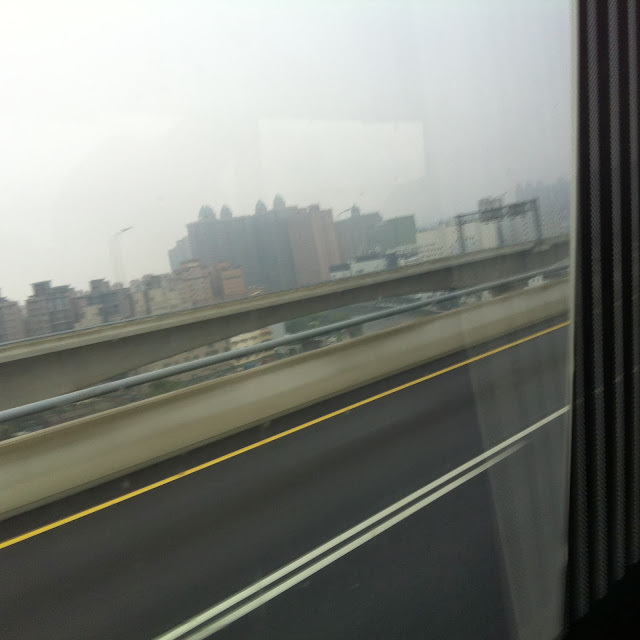 It's one thing that I am breathing in polluted air, and another thing that the air smells so nasty!!!! BUT IT'S A WHOLE DIFFERENT THING WHEN I AM GETTING CONSTANT HEADACHES BECAUSE OF THE AIR THAT I AM BREATHING IN!!!!! For people who have migraines, I think you can feel and understand me. Headaches which are beyond your control and all you can do is take drugs to have the pain taken away, or that you tolerate the sickening pain. BECAUSE THE AIR THAT I BREATHED IN SMELT COMPLETELY FULL OF SMOKE!!!! It smelt so nasty and so horrible that it is beyond comprehension. For the past few days, I have cooped myself in my room with the air-con turned on 24/7. You can say that I am being extreme, but I rather be extreme than to suffer pounding headaches because of the freaking bad air. If it isn't obvious enough... I BOUGHT A WHOLE LOT OF SOCKS!!!! Like damn cheap. 5 pairs of these adorable socks for only SGD 4.30!!!! Bought 3 pouches. Each for SGD 4.30! Each of these pouches have an inner lining!! Quality can be considered to be really good for something at such a price! Bought 2 dresses at SGD 6.50 each! SO CHEAP!!!!! Couldn't decide which colour to get so I got both since they were so cheap anyway! These were a bit more pricey as compared to the other stuff that I bought. Each tee was about SGD 16. I bought them because the cotton quality was good and well.. price range quite acceptable since it is Uniqlo. 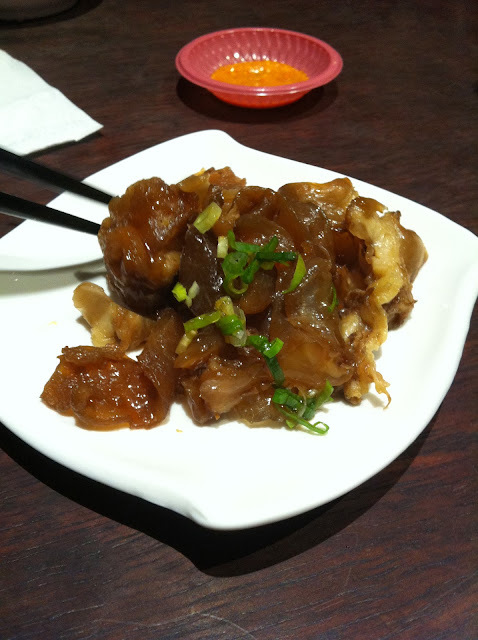 And also, they were from the section called "Ximen Special" and so I'm assuming that they are really THAT SPECIAL! Bought a long sleeve navy design top, a blue/white striped hoodie and a floral dress. Each for SGD 4.30! DAMN CHEAP I KNOW!!!! Not even $5 each! 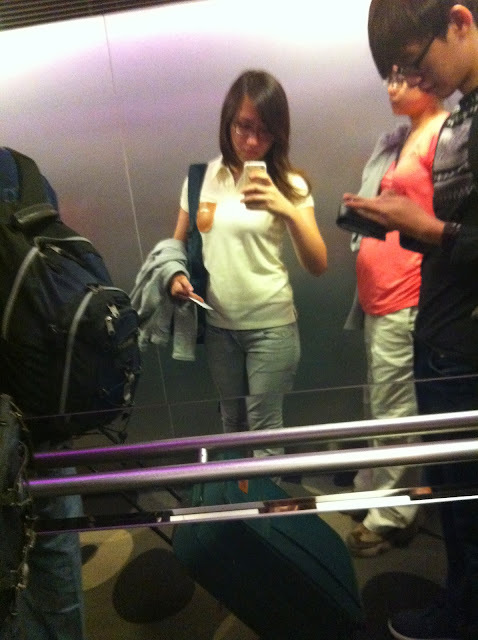 They are all thin enough for Singapore's weather so yay! Happy happy me!! 3 skirts! LOVE ALL THE COLOURS!!!! Each for SGD 8.60! The orange and yellow one is made of really really soft cotton and I loooovveeeeeee how soft they feel! All of the skirts have shorts inside!! Can't believe I bought each of them at less than $10!!! What a buy!! Bought a denim jacket for Rod. This denim jacket was on sale at an unbelievable price! The original RTP was SGD 116!!!! The one on the left was sold for SGD 15 whereas the one on the right was for SGD 25!! Super good buy! Usually the shoes that he buy are from the price range of $75 and above? His feet made of gold one I think. Bought some tights too!!! 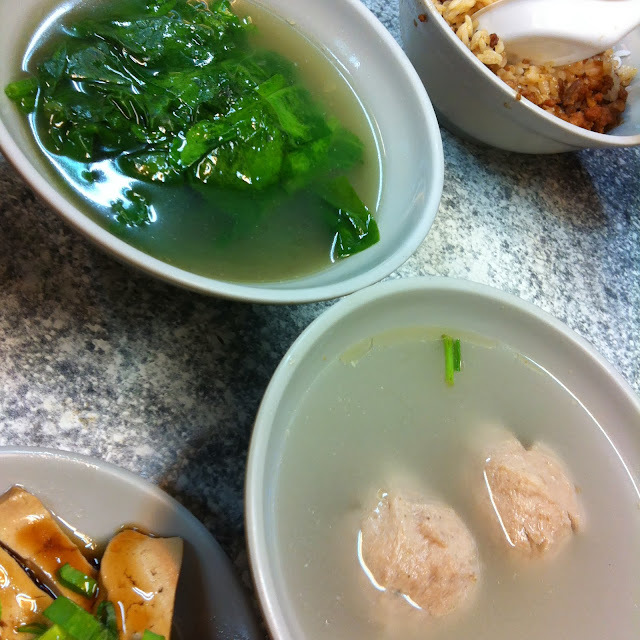 Each at SGD $4.30! 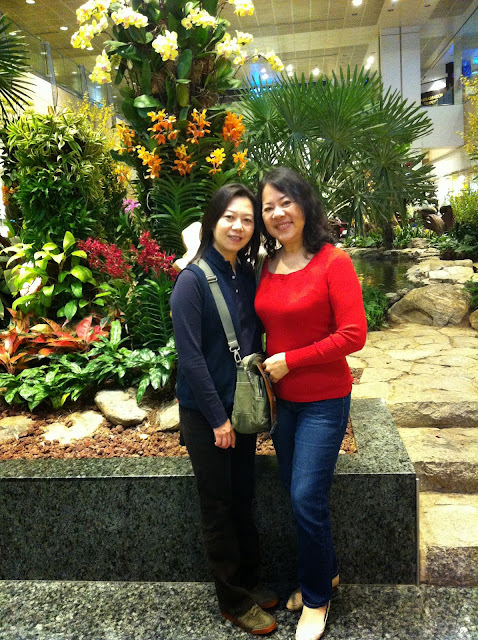 I had difficulty finding for good quality OPAQUE tights in Singapore that covered me from my foot to my hips. So glad that I found these at Shilin night market and they were sold for less than $5 each!! I wanted to buy coloured ones too but my mom stopped me because she said that I might have difficulty matching them with the clothes that I already have (which is quite true) and if I really wanted the coloured ones.. 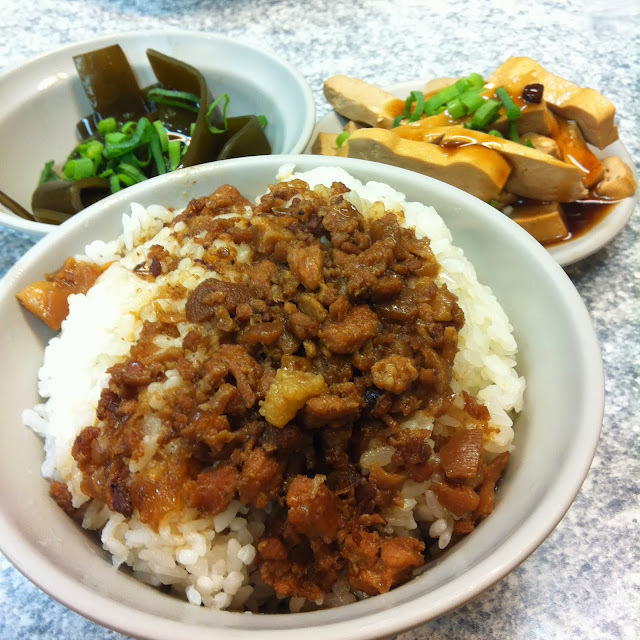 I can always get them if I do manage to go to Taipei again with my mom in July! Bought a new leather wallet for SGD 34! YES IT'S GENUINE LEATHER!! Clumsy Beryl spilled white nail polish over my current leather wallet. Don't ask me how she did it. I wish I knew too. I gotta keep her away from my new leather baby! So it's less than $0.50 per try!!! The staff is really friendly too and they aim to help you win the prizes home! Sulley was practically placed over the edge of the plastic panel for me by the staff (after she knew that I wanted to get Sulley) and all I had to do was to give him a slight push to tip him over the edge and tadah! I got him!!! Bought some food too. The must-buy paper bakkwa! And tie dan (iron eggs) as a gift for Joey! I promised that I would buy this back for her! And that kinda concludes my haul from Taiwan!! I still have a couple more stuff that my sister bought for me without me knowing... 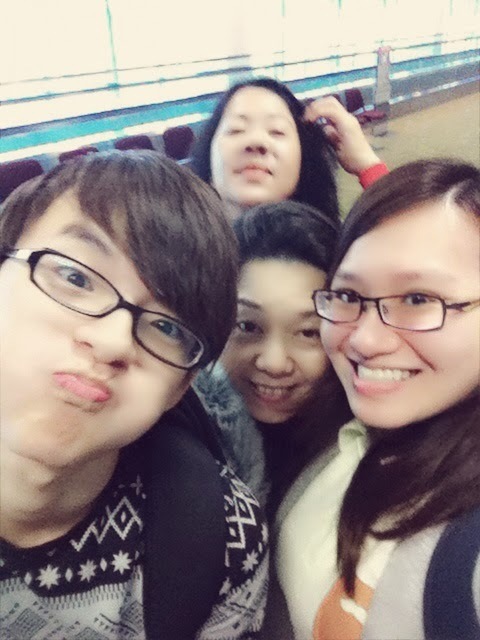 I only got to know them after she already paid for it/returned to the hotel room/came back to Singapore. I will share my photos from Taiwan during my next entry. I wanted to upload the pictures after the end of each day during my trip... but that attempt was an epic fail because I was so worn out by the end of each day. The only thing that I had in mind after I got back to my hotel each day was to quickly take a shower, to quickly pack my luggage so that I wouldn't have to rush the next morning, and then to jump into my bed to get ample rest for the next day's itinerary. This is why I don't like itinerary with time schedules and obviously enough, I don't like tour groups. Free-and-easy is the way to go, baby! 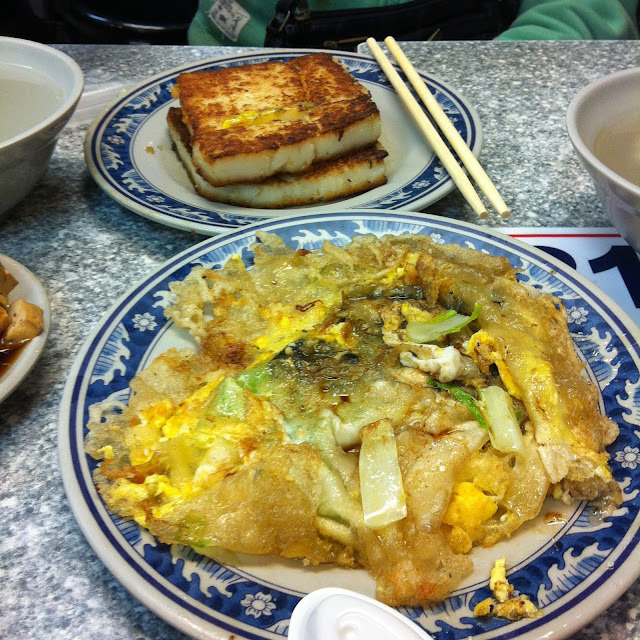 I have been travelling around Taiwan – went to Jiu Fen and Yilan! I left my MacAir back in Taipei with my luggage and moved around with just a light bagpack of a few clothings for change, my toiletries, make-up and chargers. Using the blogger mobile app now to write this post! I've got so many pretty pictures to share but I've gotta wait till I get back to Taipei later today so that I can do it with my laptop! The mountain view at Jiu Fen was gorgeous.... And the room which my sister assigned for my brother and I had the best view of the mountain amongst all the rooms. I took so many videos because stationary pictures were insufficient to capture the cosy-ness of the room and the breathtaking mountain view included with it. As for Yilan... It provided a beautiful countryside view. Plots of agriculture and three storey mansions. I even stayed in one of them! The mansion... Gosh! How should I describe? It was grand. It was luxurious. It was warm. It was... everything that I wanted for my future home and more. Ok then again my future home will contain a little bit more modern techno stuff, such as lights that switch on when I clap? I'm dying to try that technology ever since I saw it on the internet. I can't imagine what happens when a whole lot of people clap during a birthday celebration. The lights will be confused and flicker on and off like mad! Hahaha!! Talk more again (WITH PICTURES) when I'm back in Taipei. In the meantime, make do with the pictures at my Instagram! I've arrived in Taiwan safely this afternoon around 1.30pm! 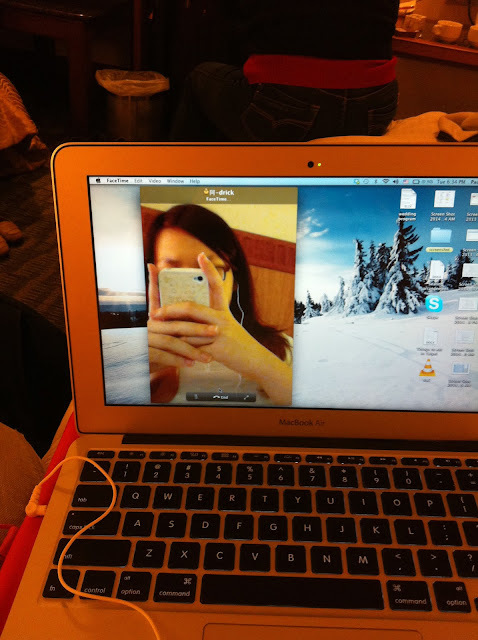 Brought my MacAir along to get some work done, hence I am able to blog a little bit now!!! So anyway, here are photos from day 1!! 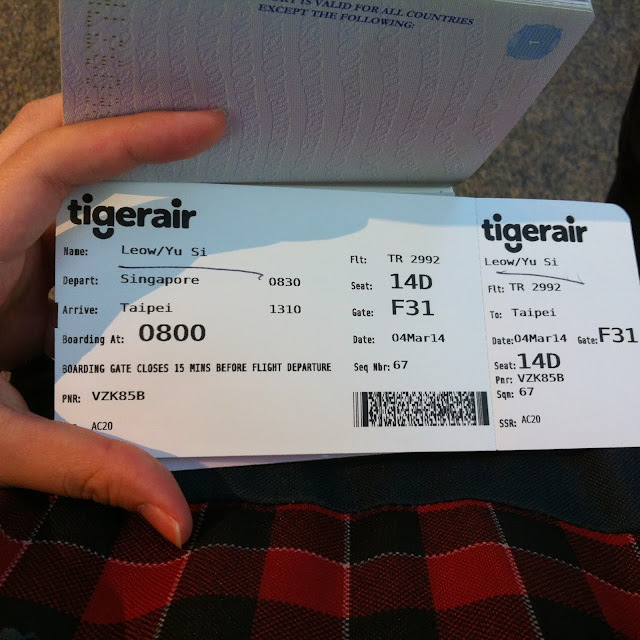 Tigerair finally decided to issue its passengers proper air tickets!! 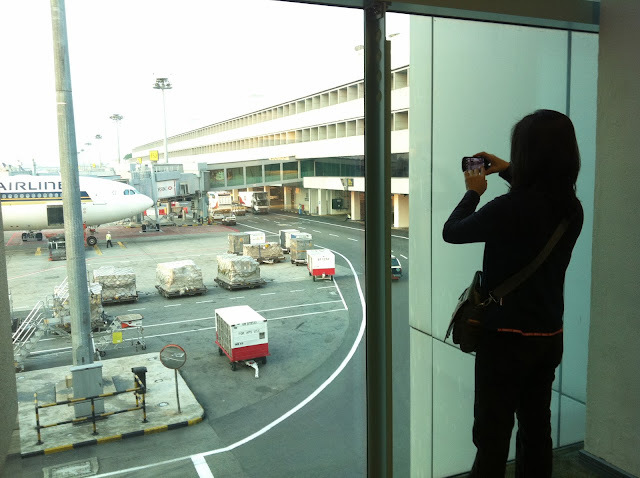 In the past, the air tickets issued out by Tigerair looked very much like.. receipts. It looked nothing like as what you see in the above image! Great decision made on the change, Tigerair! Uploading this because I think it looks nice. HAHAHAHA!!! Does this count as an #ootd shot? 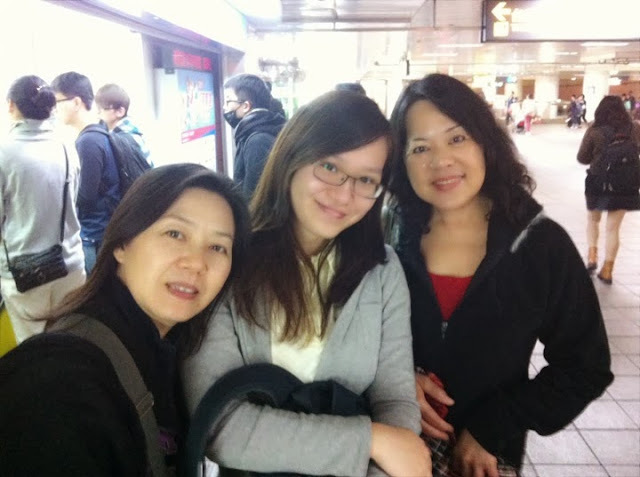 Arrived safely in Taipei after a 4 hours and 45 minutes flight! 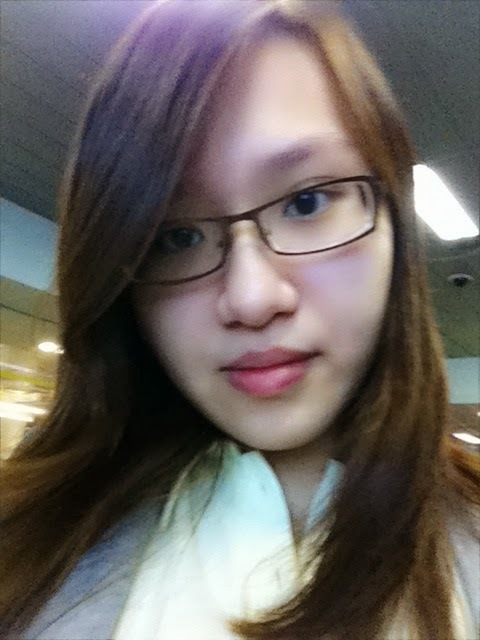 It is super cold in Taipei now and the temperature was about.. 12 to 14 degrees today? It was raining when I arrived. The moment that I stepped out of the airport, I could see my breath because it was THAT COLD! For a moment, you can see the building.. And the next minute, you can't. 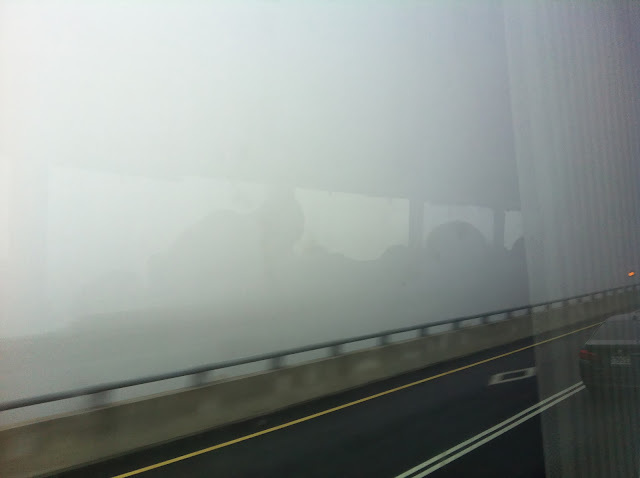 It was extremely foggy when I took a bus from Taoyuan International Airport to Zhongshan station, where I then took a train to Ximending as it is where my hotel is located at! 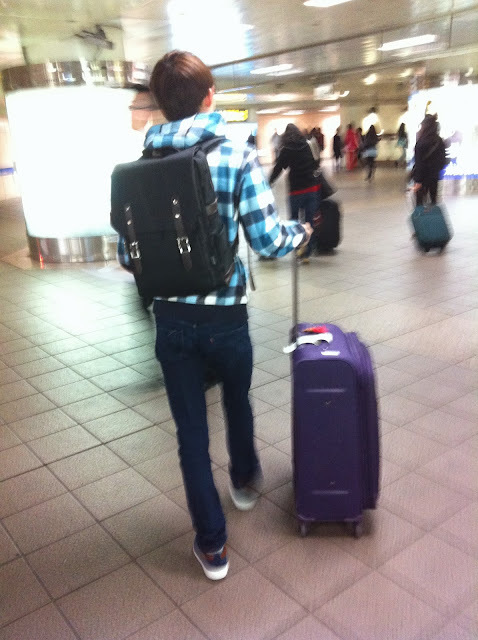 Taiwan was the first place where I had my virgin experience of dragging a luggage around. It was something which I never thought that I would ever do! If you haven't tried it before, TRY IT!!! It's even more fun dragging it across the streets... lololol! 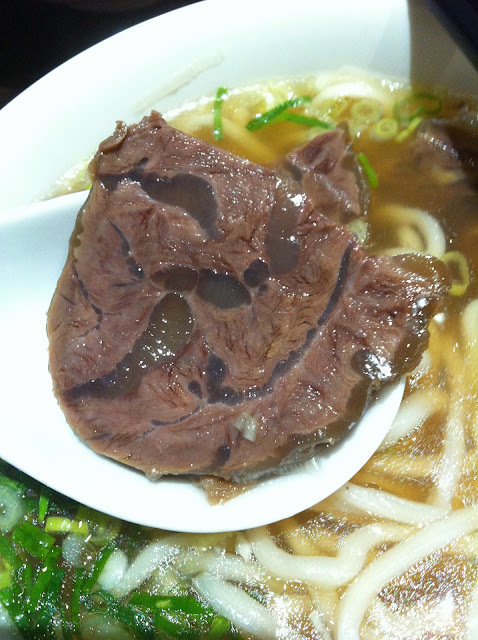 The beef was extremely tender, and the noodles were very chewy and surprisingly tasty too!! 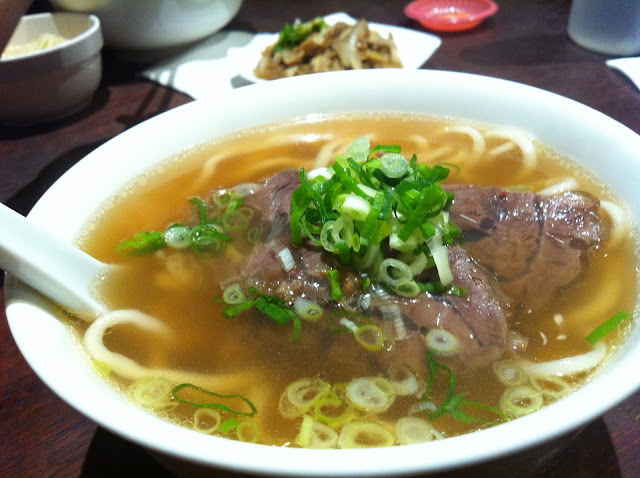 The beef broth was good and addictive! It's not like some beef broths that I've had where after a few mouths, I get sick of drinking the soup. Didn't try it. Can't tell you how it tastes like. But if I have to make a guess, I suppose it would taste jelly-like? 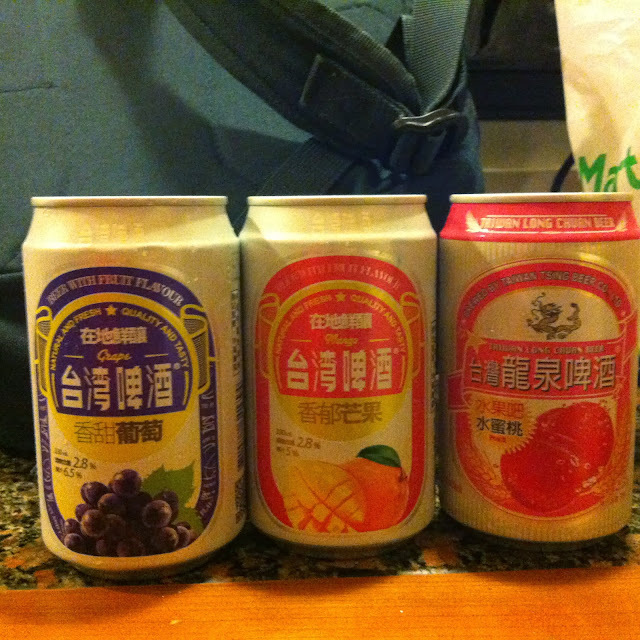 I love the convenience stores in Taiwan!! 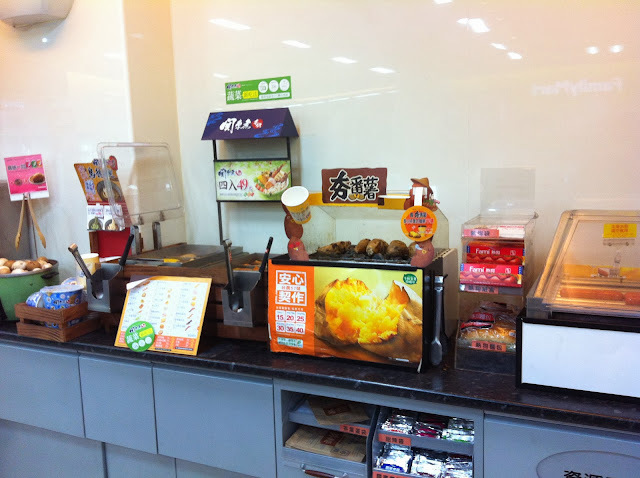 This is taken in Family Mart (one of the convenience stores). They have this section where the food is REAL FOOD. Not processed, artificial food or snacks. It's proper food!!! 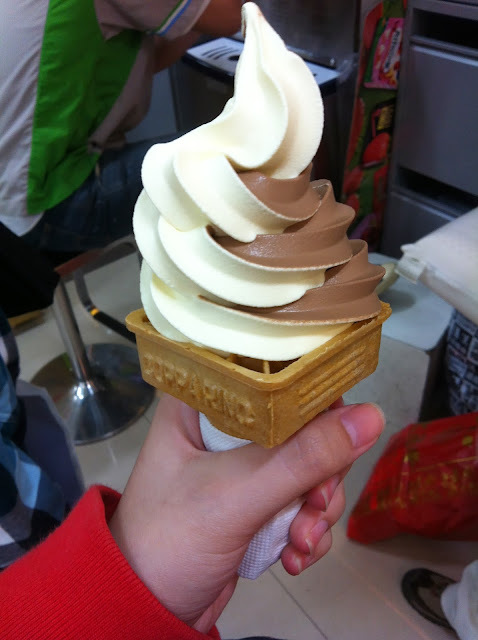 Bought ice-cream from their convenience store! Food from their CONVENIENCE STORE tastes AWESOME!!!!! Like seriously, it blows me away. Maybe I did lower my expectations because I am abroad (?) but.. damn. The standard of the food served in their convenience store is just unbelievable. 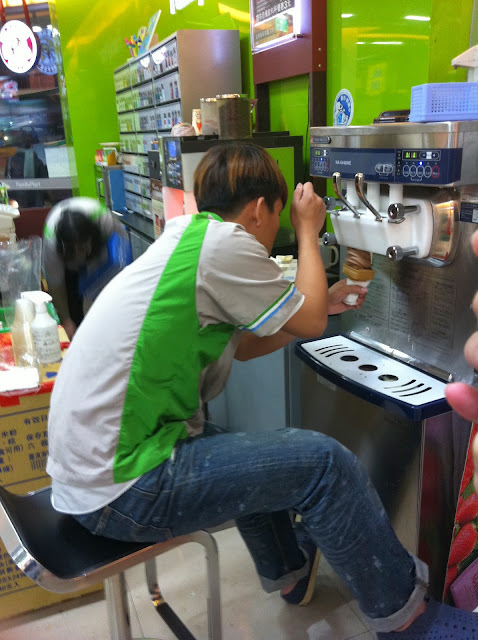 Ice-cream made on the spot!! The waffle cone was really crispy and fragrant! My attempt at Facetiming Rod. All of the above food that I had for dinner are considered to be of average standard and are graded to be as simply being JUST EDIBLE. The waitress who served us wasn't very friendly either. I hope its just because she's had a long day, hence she was feeling grumpy due to lethargy! To the waitress, press on!!! I found this in a store that is like Singapore's Toy OutPost/Hako. They sell a small bottle of this containing about 60 of its eggs for about.. SGD$1-2? I was reading the available information in the tiny shelf and it says that it takes approximately 2 weeks for a shrimp to grow and reproduce. And so in 2 weeks, you'll get your next generation of lucky shrimps!!! There is a difference between male and female lucky shrimps. The male has a crown on its head, whereas the female has this orange thing around it's middle area. 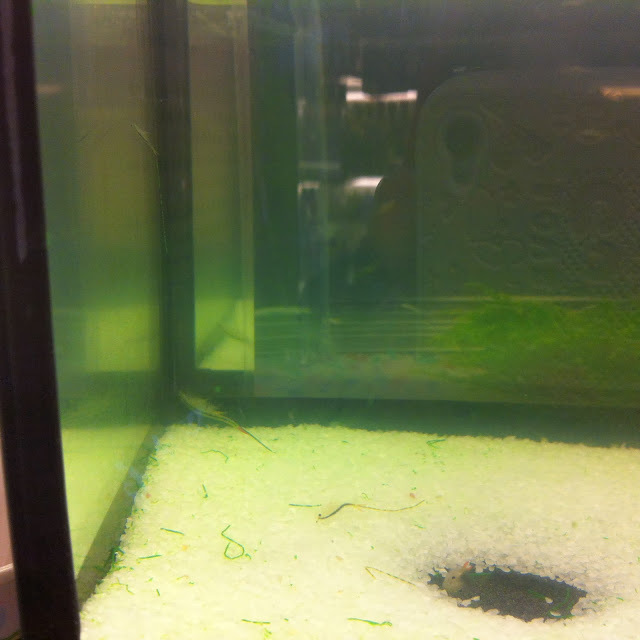 The 2 shrimps that you see in the picture are females!! Another reason why I love Taiwan: Full of such weird, interesting and fascinating stuff! Ok time for me to sleep. More again tomorrow night!